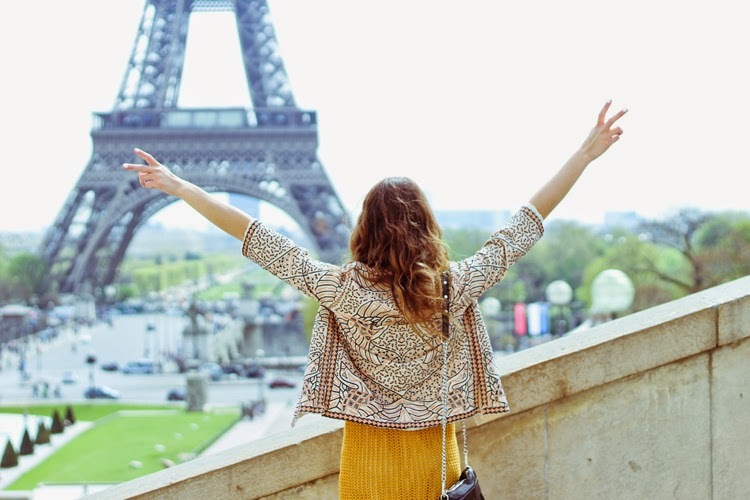 How to say goodbye to a city you never want to leave? Zara embroidered jacket, Forever 21 crochet dress, Nasty Gal necklace, Fringe Mini Mac c/o Rebecca Minkoff, Zara gladiator sandals. 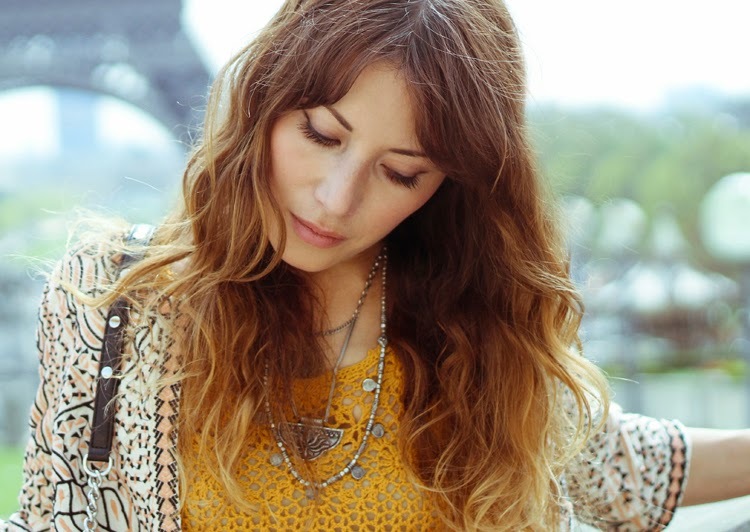 Shot by Lauren Darling at Trocadero, Paris. Although it's been a few weeks since my long weekend in Paris, I'm only now getting over it and finally ready to say my goodbyes. So I thought this shoot would be more than fitting for me to post, seeing as it's in front of one of the city's most iconic locations. Back in New York, the city's finally starting to warm up, which means you can bet you'll be seeing more Spring attire like this on the blog to come. From short dresses, cutoffs and leg-baring looks, to fun shoes and accessories like the ones photographed here, I'm excited to finally embrace this new season ahead! 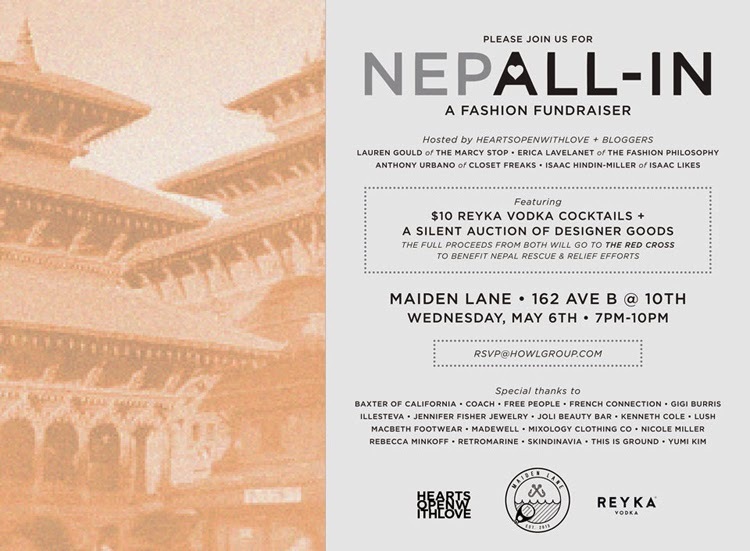 I'm also excited because I put together a fun shopping/happy hour fundraiser to benefit Nepal taking place tomorrow in the East Village from 7-10PM. We got some great brands to donate and I can't wait to see the results! If you're in NYC and around tomorrow night, I hope you can make it by. I've included the invitation below or you can RSVP here. Hope to see you there! love the yellow dress and that embellished jacket! I love this combo, the shoes and jacket are a great compliment to the yellow! Oh awesome I will try to make though may have a work function to go to as it is coworkers last day but welcome back to NYC and love the gladiators!